Golden Temple Hotel is on 7 Makara Road, Siem Reap, Cambodia. This hotel is set in a peaceful and elegant temple garden which will bring you the feeling of being in the incredible Angkor Wat or other temples. 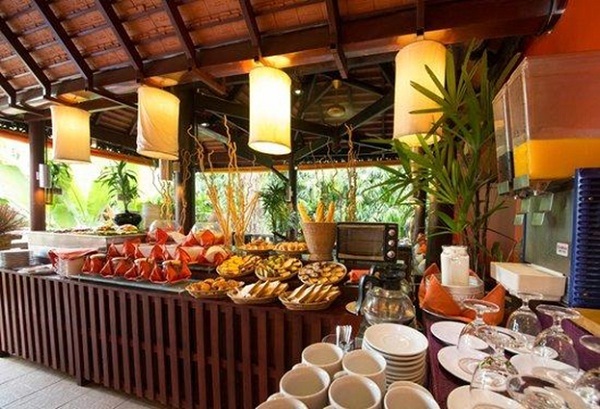 The hotel offers many services such as restaurant, massage, swimming pool, etc. If you are keen on a temple hotel like this, do not hesitate to book room in advance. The price is from 90 to 130 USD per room per night. 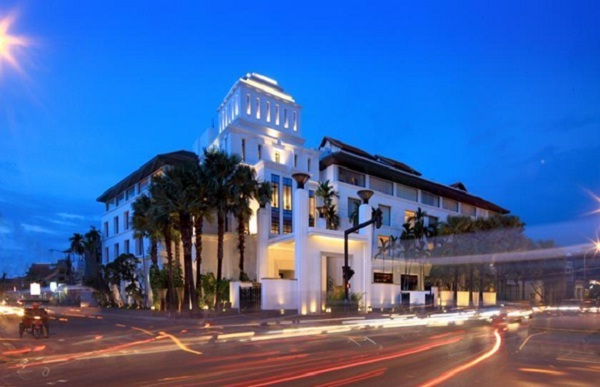 Five-star Park Hyatt Hotel is located in the center of Sieam Reap (Sivutha Boulevard Road), Cambodia. It is one of the most luxurious hotels in the region. This hotel offers a wide range of room with 104 guest rooms and suites along with fitness center, free swimming pool, etc. Park Hyatt is outstanding with a collection of modern art works in each room, the special French and Khmer cuisine and also a big garden surrounding the hotel. The price is about 400 to 550 USD per room per night. Being opened more then 75 years ago, Raffles Grand Hotel d’Angkor is selected in top 50 hotels in Asia. This hotel is notable with a 60.000 m2 garden, 4 restaurants and Raffles Amrita Spa. The hotel provides many kinds of tour such as visiting temples by helicopter, learning how to cook Khmer dishes and how to use traditional remedies. Raffles is located in the Old French Quarter. It takes 15 minutes to go from the hotel to Siem Reap International Airport and only 30 minutes to go to Angkor temple. The price may be around 170 to 280 USD. 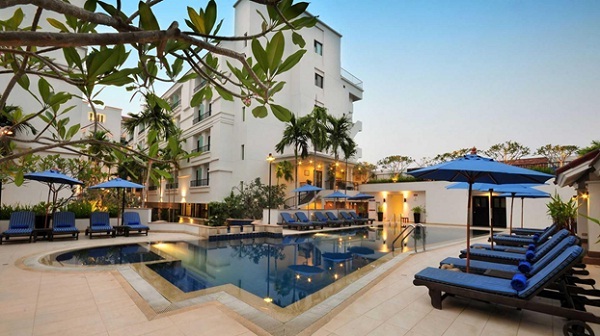 Sofitel Phnom Penh Phokeethra is set riverside among landscaped gardens in the Old Quarter of the city. The hotel has colonial interior design with a large swimming pool and La Couple restaurant which serves many international dishes and has the view of Mekong River. All rooms are full of natural light and equipped with many convenient stuffs. The price of one room a night is about 190 to 220 USD. 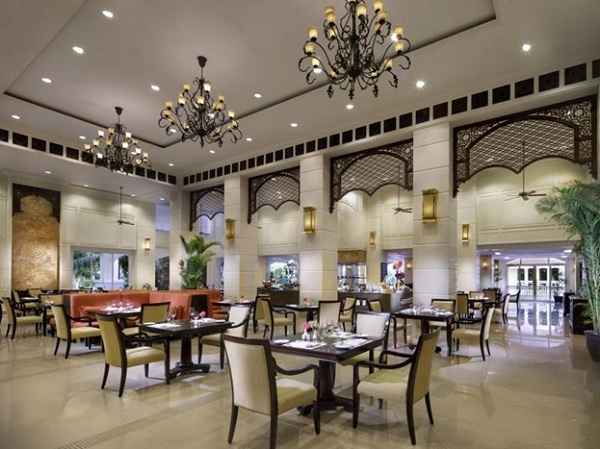 Tara Angkor Hotel, a 4- star hotel, is built in the mystical land of Angkor. Tara Angkor Hotel is situated only 6 km from the World Heritage site of Angkor Wat Temples, 15 minutes of driving from the Siem Reap International Airport, a few minutes of strolling to the city town center with an array of Cambodian souvenirs and shopping. You need to pay from 80 to 320 USD for a night to stay in this hotel. Being located in Psah Chas (Old Market), Steung Siem Reap Hotel is attractive with a true colonial French characteristic, wooden louvre French-windows, doors and wooden floors complete with wrought iron balconies. The Hotel could accommodate 76 appointed rooms and suites. 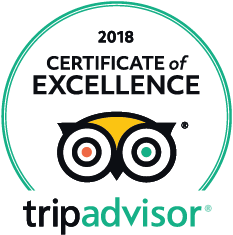 With a reasonable price (from 30 to 160 USD) but good room and service, this hotel annually welcomes thousands of tourists from all over the world. 7 hotels above are just a few of many good Cambodia hotels. 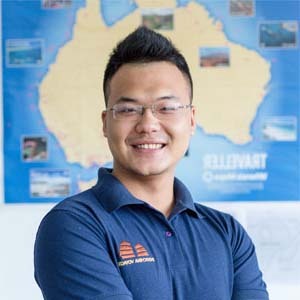 They all focus on the satisfactory of all customers, offer high quality service with nice, friendly and enthusiastic staffs. 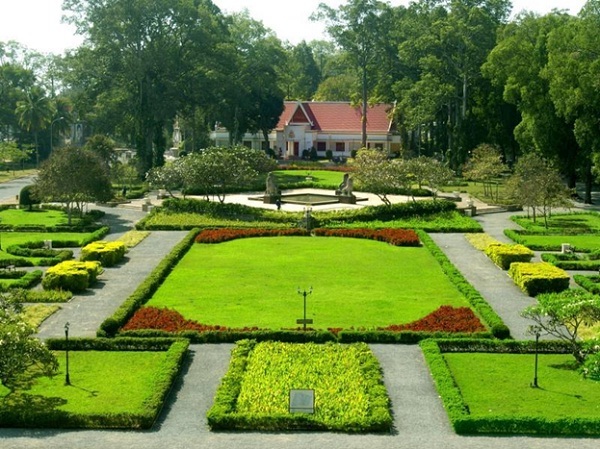 Come to Cambodia and try staying in these hotels, you will surely love these beautiful.